Pacific Oyster (Crassostrea gigas). Photo by Don Rothaus, courtesy of the Washington Department of Fish and Wildlife. Molluscs in the Class Bivalvia feed on phytoplankton and detrital particles suspended in the water column, serving as a key trophic link between microscopic primary producers and higher consumers. Epibenthic bivalves can function as ecosystem engineers through the provision of hard substrate and three-dimensional biogenic structure, while infaunal bivalves can function as engineers through physical alteration of soft substrate habitats. 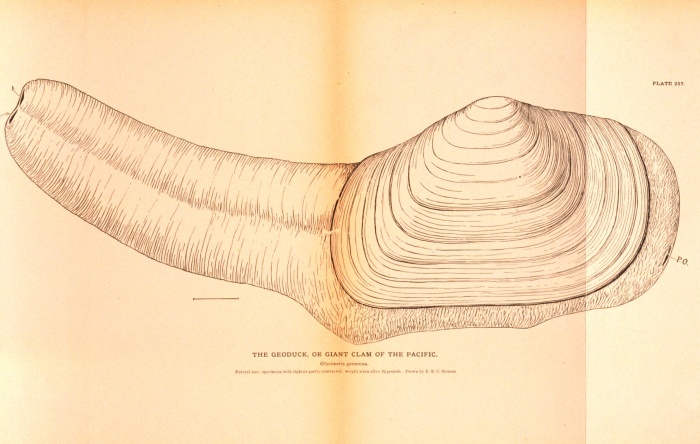 Numerous native and non-native species of bivalves occur in Puget Sound, including important aquaculture species such as Pacific oysters (Crassostrea gigas), non-native invasive species such as the purple varnish clam (Nutallia obscurata), and species targeted in recreational fisheries (e.g., native littleneck clams and non-native Manila clams). The native geoduck clam, Panopea generosa, is valued as a commercially-fished species and as an aquaculture species. 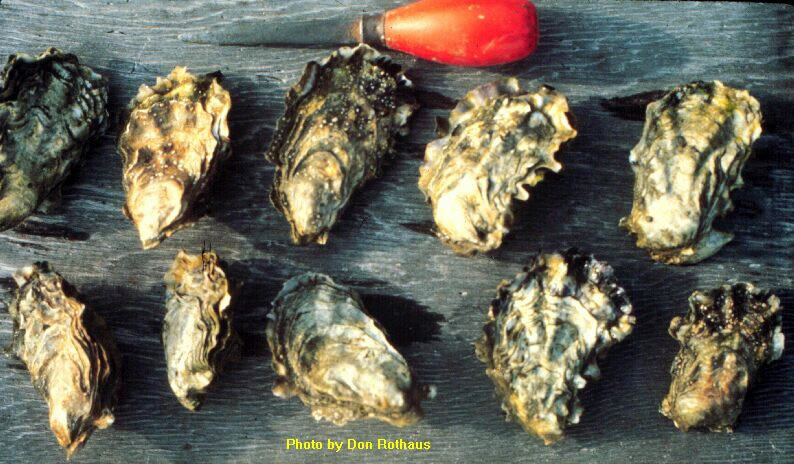 The native Olympia oyster, Ostrea lurida(also known as Ostreola conchaphila) currently is a restoration target in Puget Sound, having been depleted through human activities in the last century.